Samsung Electronics said Monday it has started mass producing the world’s first 14-nanometer mobile application processor. It hopes the latest chip technology will give the Korean tech giant a competitive edge over rivals such as U.S.-based Qualcomm. 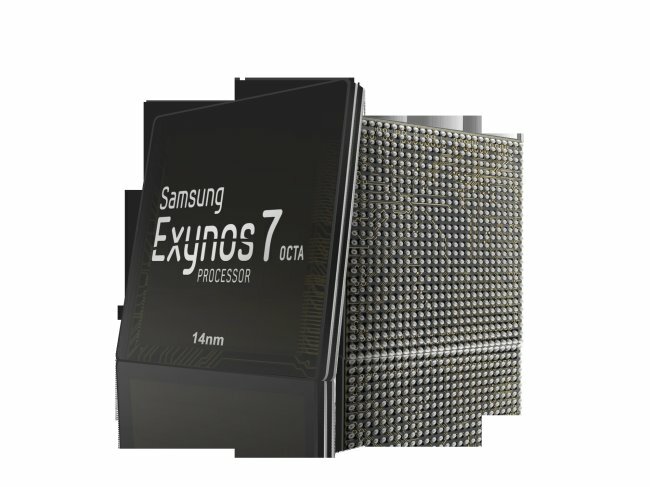 According to the company, Samsung's new Exynos 7 Octa has 20 percent more processing power and spends 35 percent less electricity than 20-nanometer processors that have thus far been widely used in the mobile chip market. The latest chip technology also features a three-dimensional transistor design, known as the FinFET, unlike the conventional flat chip design, it added. “Samsung’s advanced 14nm FinFET process technology is undoubtedly the most advanced logic process technology in the industry,” said Han Gab-soo, executive vice president of Samsung’s system LSI business in a press release. The 3-D chip process technology, which stacks layers of cells vertically, has been a feature of Samsung’s memory chips since 2013 to overcome scaling limits of the planar chip design. Other chipmakers including Intel and SK hynix are also known to be working on the 3-D chip design for their memory chips. Samsung plans to power upcoming versions of its smartphone models, including the new Galaxy S6 and its curved-screen variant S6 Edge that will be unveiled in March at the Mobile World Congress in Barcelona. The company is also said to have secured deals with Apple to supply its 14nm chip, tentatively named the A9, starting with the next-generation iPhone. Earlier this month, Chung Eun-seung, executive vice president of Samsung’s device solutions division, hinted that the company would develop a 10nm technology this year and 7nm and 5nm chip technologies by 2020.